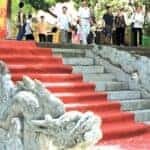 A plan to restore the Kinh Thien Palace in the Thang Long Citadel has just been approved, putting into motion a five year plan to reconstruct the architecture and rebuild the palace. 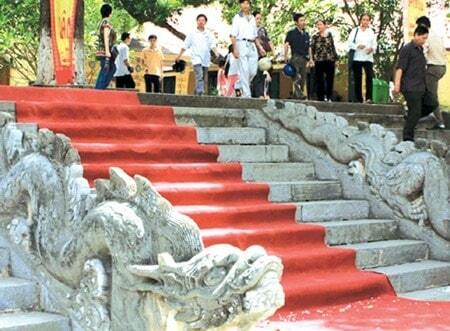 The Ha Noi People’s Committee approved the restoration of Thang Long Citadel Complex’s Kinh Thien Palace in Ha Noi, which was used for royal meetings under the reigns of the Ly (1009-1225), Tran (1226-1400), Le (1428-1789) and Nguyen (1802-1945) dynastries. The Thang Long-Ha Noi Heritage Preservation Centre and the Viet Nam Archaeology Institute started excavating the Kinh Thien Palace site last February. In recent years researchers have suggested restoring the palace, but they don’t have enough information on the building’s original architecture and measurements. Most of it was destroyed by the French in 1886. They left behind only the floor and a staircase bordered by two stone dragons.